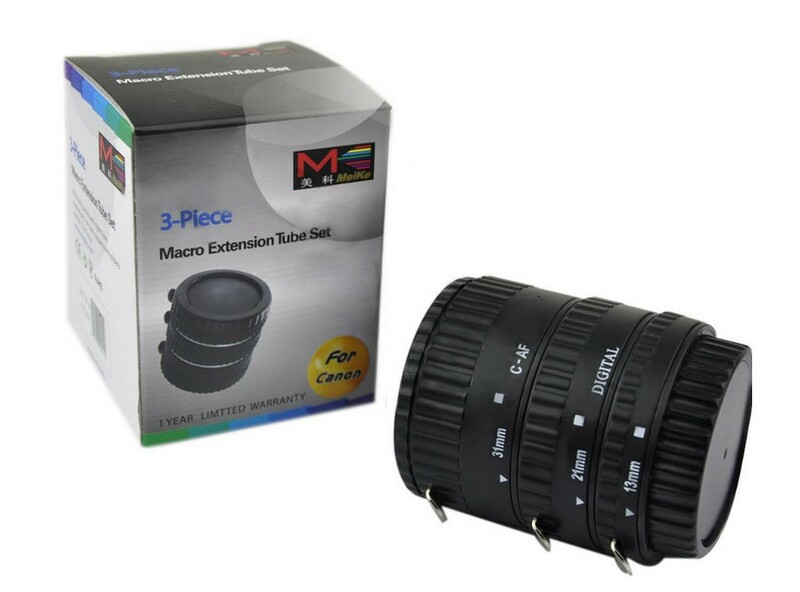 The AF Extension Tube Set can transform your Lens into a Macro Lens. It moves the lens from the film or digital sensor. The closer the focus is, the greater the magnification. 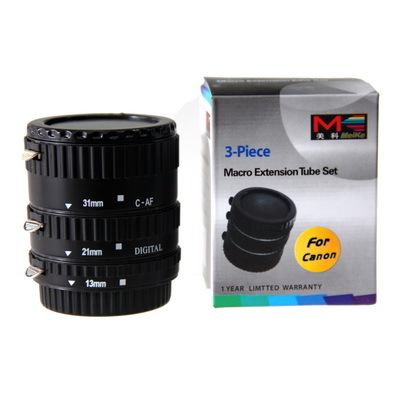 The extension tube does not affect image quality as there is no optics inside. 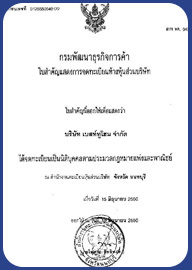 In comparison, a close up filter is often blamed for degrading the quality of image. Tube Lengths: (1) 13mm. 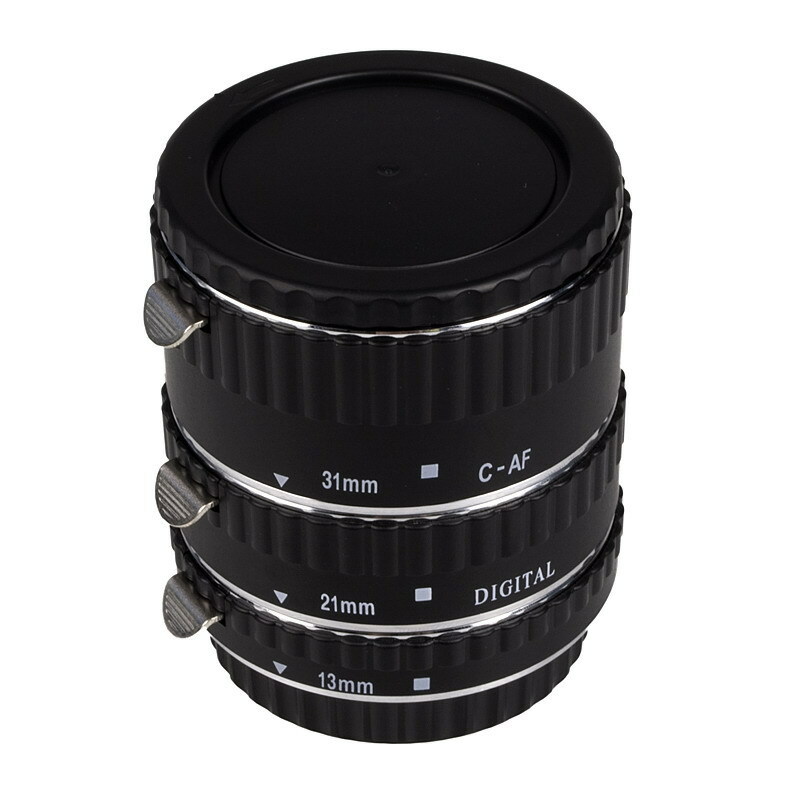 (2) 21mm.(3)31mm. Fitting for canon F mount DSLR/SLR and Lens.